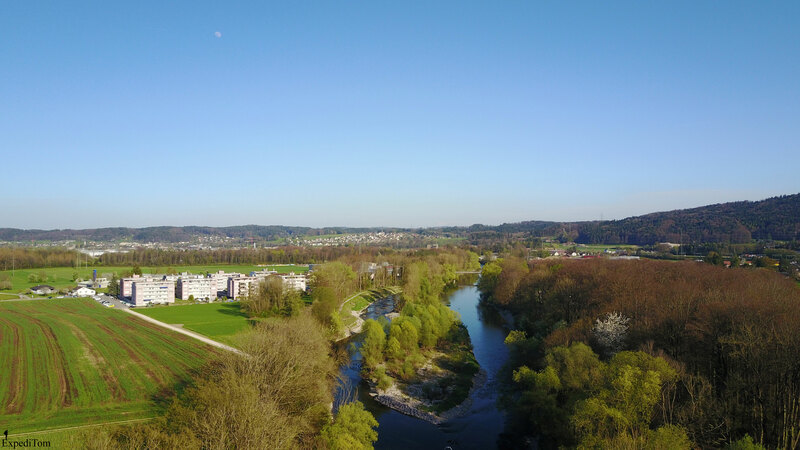 The Aare is one of the larger rivers in Switzerland. The main source lies in the Bernese highlands and pours into the Rhein close to Koblenz. 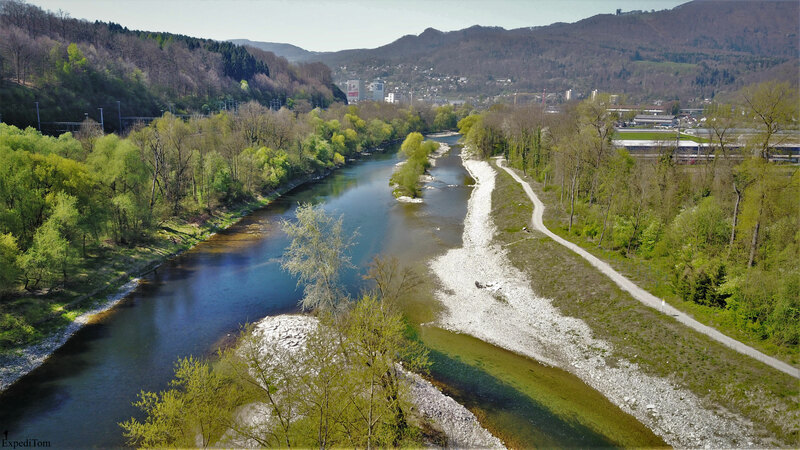 There are various fish species in the Aare: Trout, barbel, chub, grayling, pike and some more whitefish. 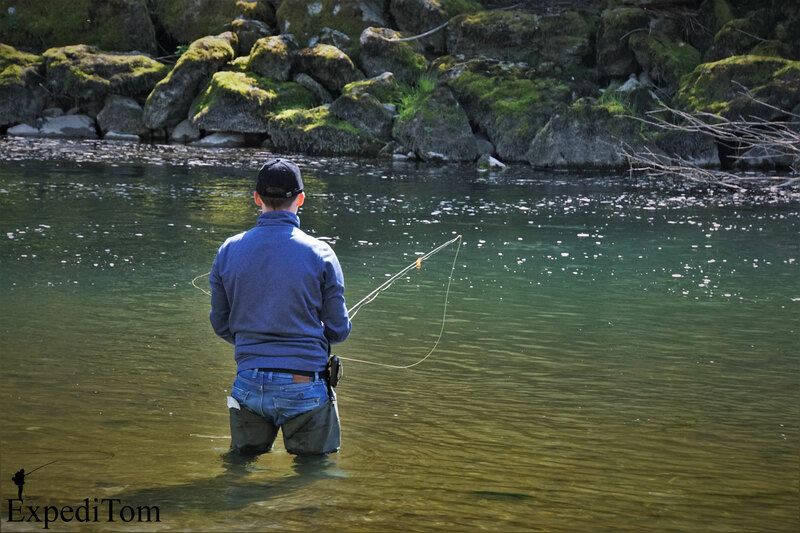 Therefore, the river offers good opportunities for fishing. 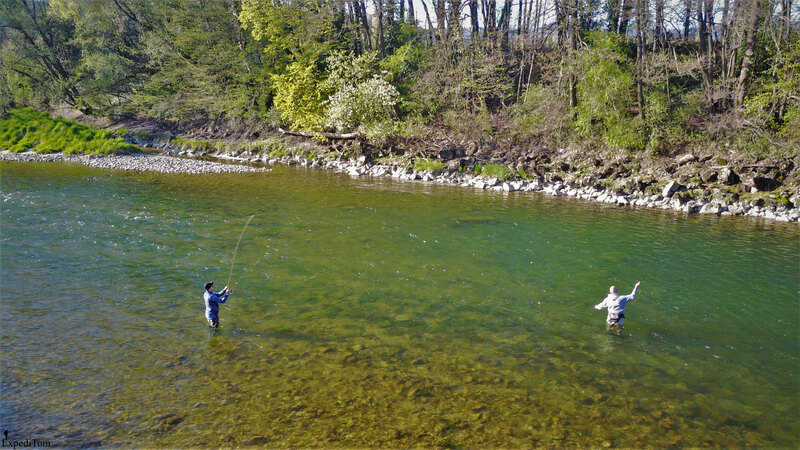 However, due to the fact that it is a major river system in Switzerland with a divers fish population, the angling pressure is apparent. Subsequently, the abundance of fish species is drastically reduced, because catch and release is not enforced, although it is allowed under certain circumstances. In particular the trout population suffers severely under this deficiency. Even tough every year many stocked trout are released by the local fishing clubs, the numbers are still declining. Not only Claudio joined this fishing trip, but also Jan did. 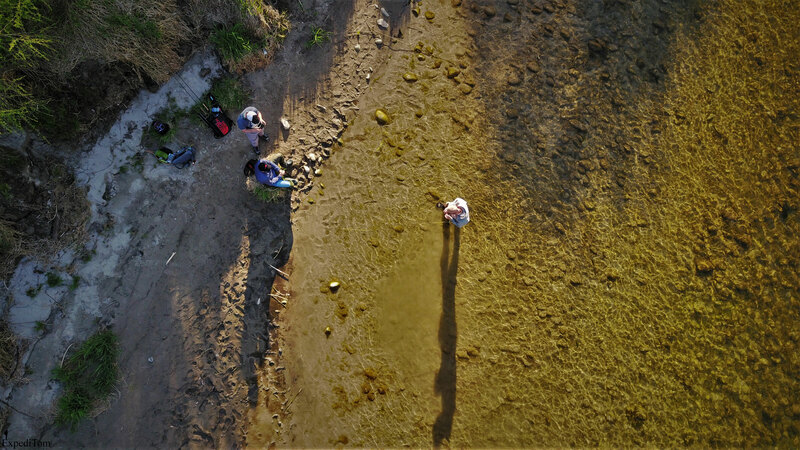 Early in the morning, we ventured to the river, where we prepared ourselves and I took some drone footage. Arriving at the river, we saw that the water looked superb although the level was a bit low. Claudio rigged his European nymphing rod, while Jan put his spinning gear together. Simultaneously, I shot some more footage and started fishing with an indicator-nymph rig. About an hour later, Claudio had a bite in the deep rifle. 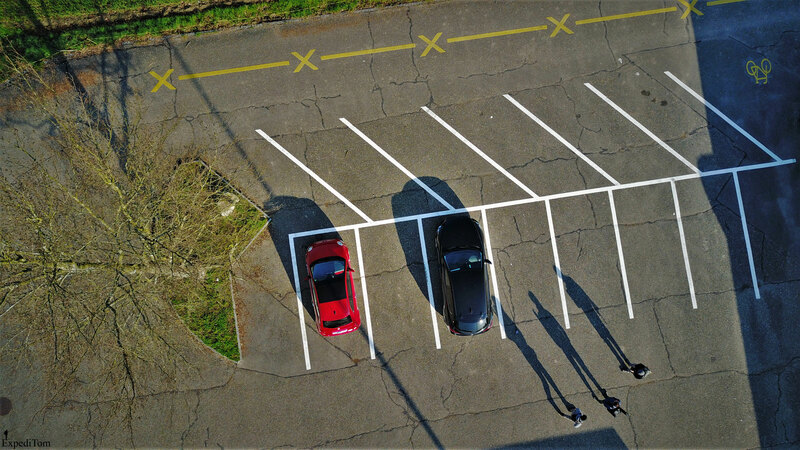 Luckily, my drone was already airborne and I could take some fantastic footage. Claudio landed the fish with his usual aplomb. It was a gorgeous barbel with stunningly golden flank. We continued our journey upstream and stopped to have a barbecue for lunch. We had a great time, yet the fishing was rather slow. Despite a grayling, which I hooked accidentally, we had no more contact to any fish. 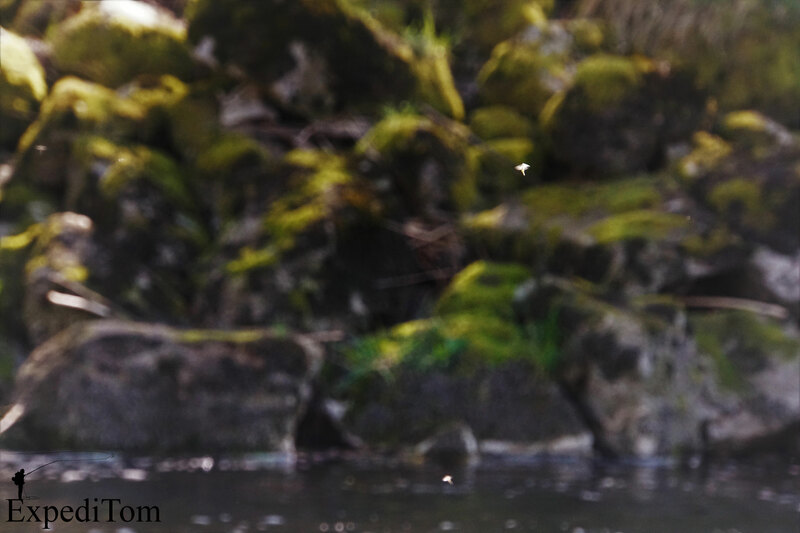 How many mayflies do you spot? Nevertheless, we had a splendid time together and I am looking forward to fish with Jan in Sweden and with Claudio somewhere else again. 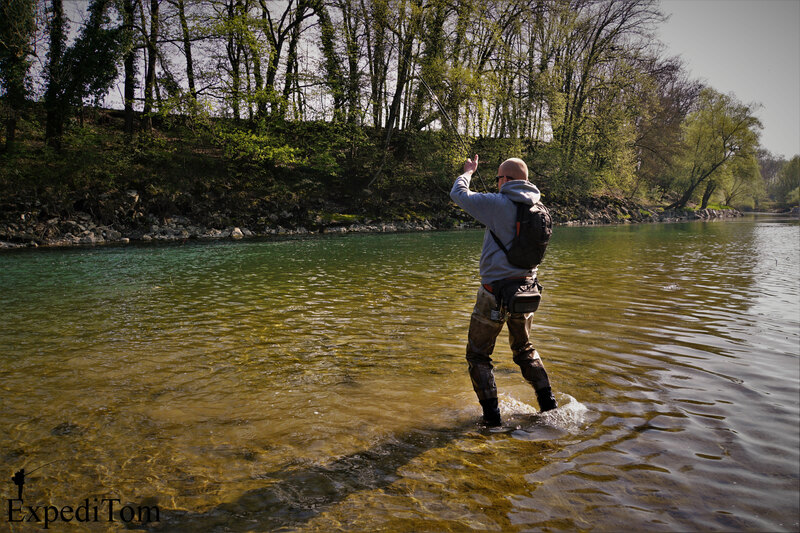 Have you been fly fishing in the Aare in Switzerland? What is your experience?